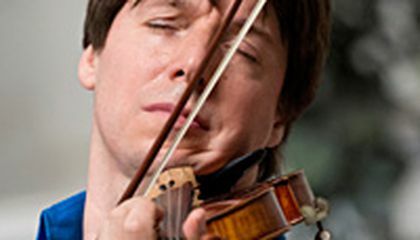 Seven years ago, the well known violinist Joshua Bell performed for tips. He was in a Washington subway station. Almost no one stopped to listen. The underground performance was an experiment. The Washington Post newspaper wanted to see if commuters would notice. After all, some of the world's great music was being played as they rushed to work. It made for a good story. It even inspired a children's book. Bell is 46 years old today. He's won major music awards, such as a Grammy. Now he wants to call attention to the need for music education in every school. He was lucky, he said, to have parents who encouraged him to play. Today, some students make it through school without any music or art education. Bell will perform with young musicians he has mentored for an upcoming HBO special. 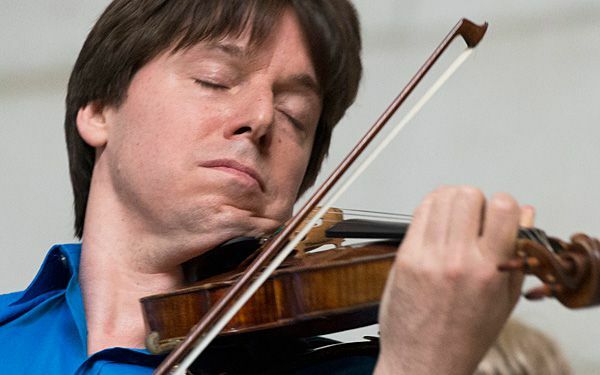 It's titled, "Joshua Bell: A YoungArts MasterClass." It will air Oct. 14. Bell was scheduled to play at Washington's Union Station on Tuesday. He planned to perform works by composers Bach and Mendelssohn. The concert would be during the lunch hour on Capitol Hill. Bell was to be accompanied by nine young musicians he has helped coach. Nearly every day for the past seven years, someone has reminded Bell of his first subway performance, he said. In the train station, Bell and his protgs won't be able to play for tips this time. Union Station doesn't allow it. But Bell said he does look at street musicians differently now. I think it is awesome to experience something new. The thing I want to experience is music and things that are very interesting. I agree that music is a great experience because some people love music and they want to experience more of music. I learned that some people experience something new like me. I am amazed because some people love music and want to experience it more.